Paper Mache clown mask is hand painted. 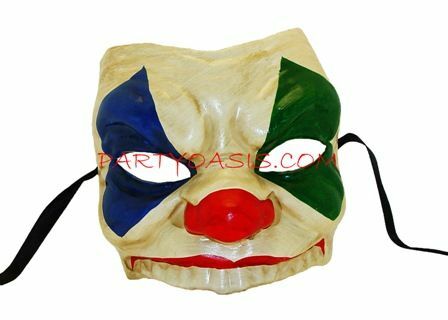 Great for Halloween, Masquerade, or to wear in a scary clown themed room in a haunted house. Easy to wear with ribbon ties.